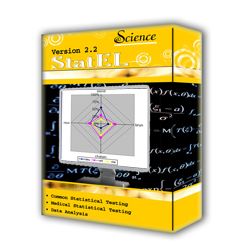 StatEL is the flagship product of ad Science and is now available in English. The English version of FormEL is still under translation development, however you can access a free trial version in French at www.adscience.fr. For a list of the different features of each software version, please look at the Version Overview page. If you are ready to purchase a license or upgrade to the latest version, please visit the Pricing Page. You can purchase online securely with a credit card or Pay Pal account.